Getting a mortgage isn’t as easy as it used to be. 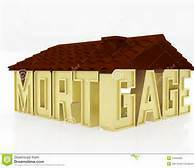 But if you follow the steps and respond to your lender you will get your mortgage. And your new home. Many of our clients are buying their “perfect” home as a place to retire too. But they haven’t purchased a home in over 20 years and are unsure about today’s home financing process. One of the first mortgage questions to answer is, “How much can I afford?” Having the answer to this mortgage question is critical when buying a home in Arizona. And understand this! Buying a home in Arizona REQUIRES the buyer to be pre-qualified to buy the home. And the pre-qualification form goes with the offer to buy a home. This means the buyer needs to contact a mortgage lender and answer some questions in order to be pre-qualified. Here is a quick video explaining 10 important steps to getting a mortgage for your new home. Interest rates vary every week and the mortgage interest rate you pay will be in effect once you have an executed contract on the home you want to buy and the lender of choice has a “loan lock“. Well, in this case, the answer is in the details. Rates are very similar across each of these three lenders. However, some are easier to work with and better at meeting the buyer’s timelines. Take time to understand how the mortgage lender works and will they commit to meeting your schedule. The above information will hopefully answer many of the mortgage questions you may have. If it doesn’t, please contact us so that we may help you get the answers to your mortgage questions.